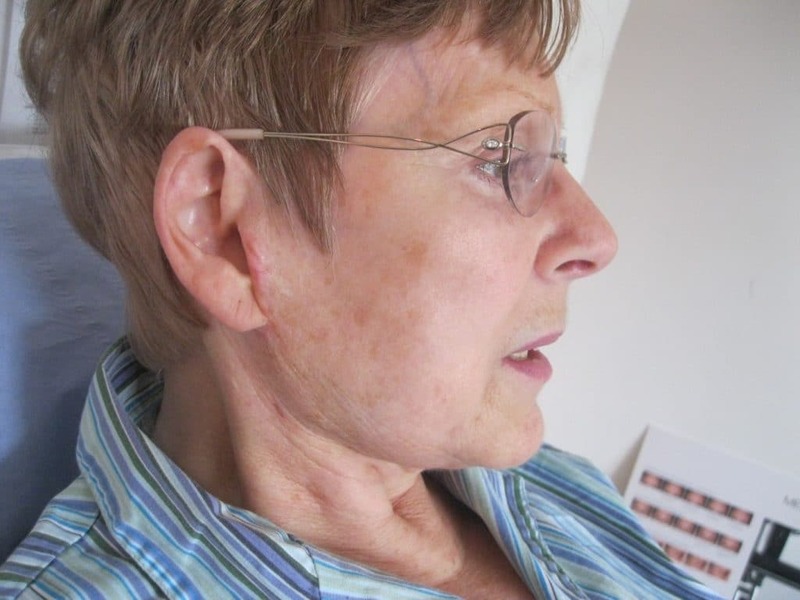 Simultaneous heating may lead to contraction of the skin, which may re-contour the neck area immediately and then lead to further contraction over several weeks. Carried out under local anaesthetic. How is this better than traditional liposuction? NeckTite is the most advanced treatment in the world, and may improve the appearance of loose neck skin. 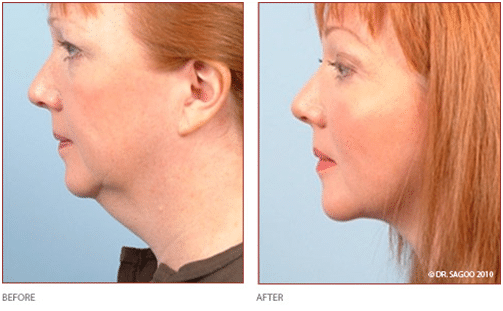 The treatment is specifically designed to treat the neck without causing any damage to any of the delicate areas nearby, and aims to reduce the “Turkey Neck” appearance that other Facial Cosmetic Surgery can give to the patient. The NeckTite procedure may cause the skin to tighten by up to 40% instantly while aspirating fat from the neck area. The skin may look and feel better immediately, but although the results are often instant, there will be some swelling for approximately seven days afterwards. Over a period of three to six weeks, there may be a continuous improvement as new collagen is formed. The NeckTite hand-piece is designed to be minimally invasive, with virtually no scarring and no stitches required. This makes the recovery process even quicker. 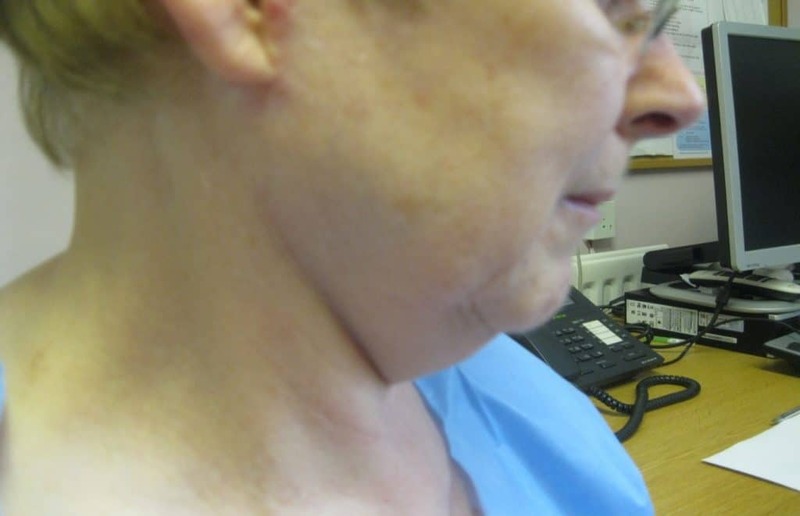 This is just to show you the fantastic difference the NeckTite procedure has achieved. 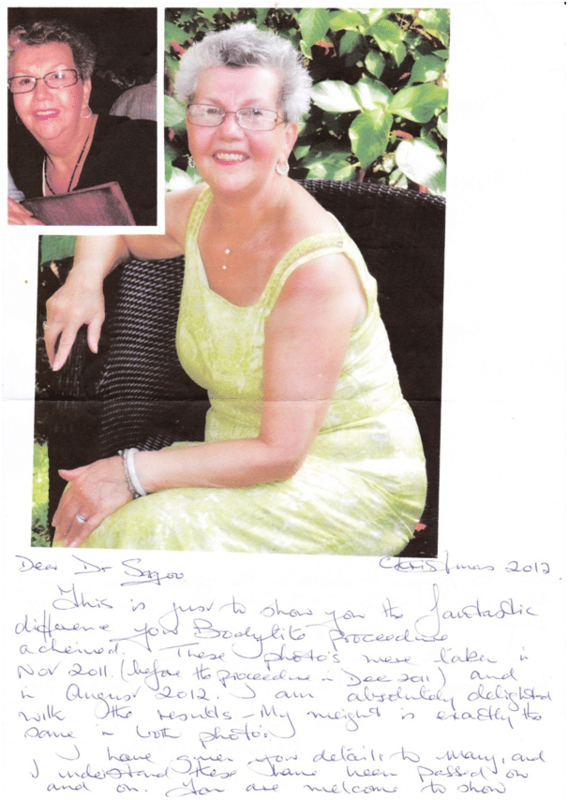 These photos were taken in November 2011 before my procedure and in August 2012 after my procedure. I am absolutely delighted with the results; my weight is exactly the same in both photos. I have given your details to many and these have been passed on and on. You are welcome to show these to anyone considering the procedure and if they want to contact me then just let me know. To find out more about NeckTite and other treatments on offer please call us on 0845 603 6150 to book your free consultation with Dr. Sagoo.